Environmental health and safety (EHS) audit programs have become an established and essential component of corporate governance in most every major organization whose activities could affect public health and the environment. 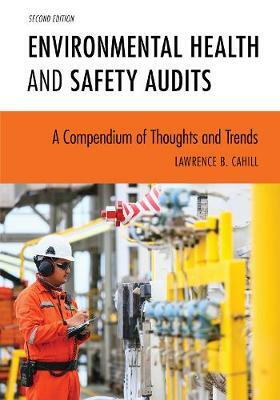 While many of the audit programs in existence are quite mature there continues to be an evolution of audit practices designed to better identify and control EHS risks. This new updated second edition takes a look at many of those practices and potential advances in the profession. Among the critical topics addressed are: *What is the current EHS regulatory outlook in the U.S. and how might this affect a company's and the regulator's attitudes towards compliance and auditing? Are the potential consequences of "taking your eye off the ball" still significant? *How does one know whether an audit program is actually working and meeting its established objectives? What are the best performance criteria to use? *How can risk management be factored into audit programs and how individual audits are conducted to assure efficient and relevant outcomes? How can we get at the true risks and avoid the tendency to focus on "administrivia"? *How can auditors become more proficient and how can we train people to help assure we maximize an individual auditor's potential? Can the individual auditor be "all things to all people"? *Can innovative approaches such as "virtual" audits achieve the same or even better results more cost-effectively? How can limited resources be applied optimally? The second edition addresses the key components of an EHS audit program and provides advice on: *How to improve the management and execution of an audit program *How to address the true compliance risks in implementing an audit program *How to make auditors more effective and versatile *How to help auditors understand the special demands of auditing internationally *How to utilize innovative techniques, such as virtual auditing, to maximize a program's effectiveness and efficiency.